Here at Cane Bay Dive Shop we let the customer set the schedule. 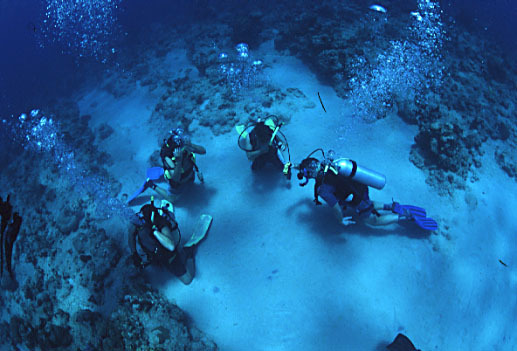 Snorkeling, shore, drift, or boat dives, there is a variety of choices. You may decide on a package of different tours, or you may take a tour and then decide to venture out on your own with a buddy. Cane Bay Dive Shop lets the customer set the pace, and we deliver the dives. 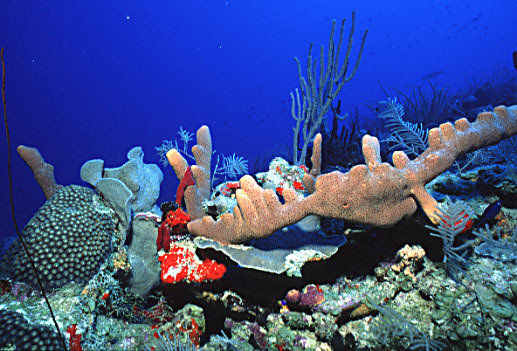 Our 3 other locations throughout the island offer a truly unique variety of dive sites. Also at our Cane Bay location we offer one bedroom cottages on property, across from the beach with kitchenettes, living, and dining rooms. Our cottages are fully equipped with all linens, kitchen utensils, microwaves, coffee makers, fold out couches and air-conditioned bedrooms. The cottages may sleep up to 5 people. With our cottage/dive package guests, we offer free airport transportation. 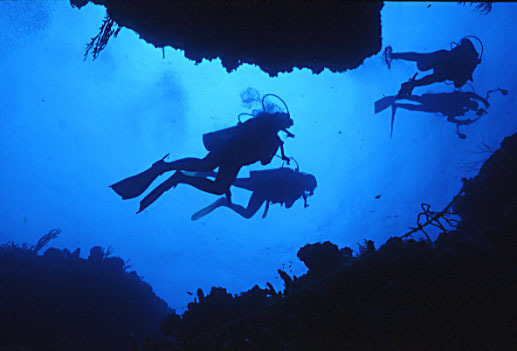 Although many dive sites are easily accessible from shore, there are some that do require boats. Since Cane Bay Dive Shop is in the heart of all the best diving on St. Croix and in the Caribbean, there is no need for large boats with big groups or long boat rides. Cane Bay Dive Shop has the most unique and state of the art inflatable dive boats. These 2Oft pontoon boats were designed for navy seals with extremely easy entrances and exits through the hull of the boat. - Just off the beach, dive the World Famous Cane Bay Wall that starts at 30 ft. and drops to over 3000 ft.! !